You’ve seen juice bars popping up all over the place. Surely there must be some reason people are guzzling down that gross looking kale water. The thing is…juicing is the greatest invention in food since sliced bread. If you aren’t juicing, you’re not surviving and you certainly aren’t thriving. We are living in a world full of toxins, pollution and stressful emotions. 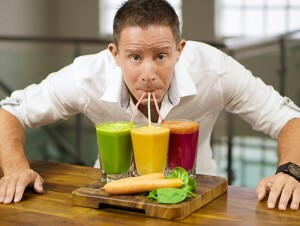 By incorporating juicing into your daily diet, you are giving your body a chance to catch up with your busy life. Here are all the reasons you need to start juicing now. When you start drinking a green juice in the morning instead of your coffee, you will feel straight up energized. It’s not the kind of rush you get from caffeine, it’s a steady energy. Like the kind you had when you were a kid. Think of all the pollution you are breathing in, not to mention all the junk that is dumped into our oceans and then consumed by us through seafood products. What about pesticides on our produce? These toxins can have a slow but steady negative affect on the body. 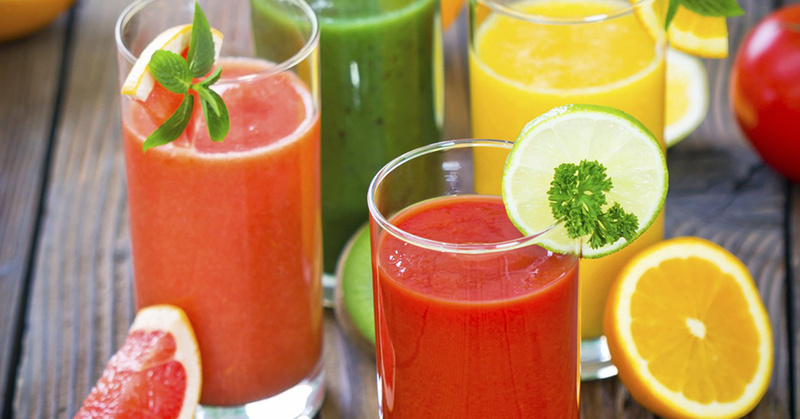 Fresh vegetable juice is a great way to gently squeeze all the garbage out of your liver. Leaving you feeling fresh and healthy. You may gawk the first time you try a green juice, but it grows on you and you will begin to look forward to your daily dose of veg. The key is to put in things like lemon or lime, ginger, apple, cilantro, mint, red bell pepper or carrots, to lift it up a bit and bring a little bit of sweetness and spice. Be sure to use either cucumber or celery as your base and then go from there. Add in your favorite greens such as spinach, kale, collards, arugula, even broccoli will do. One thing we are all low in is minerals. The soil our food is growing in is depleted. We aren’t getting the same vitamins and minerals we used to. 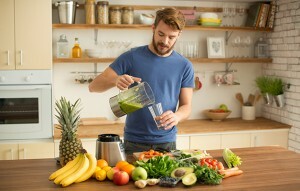 So…by juicing you are able to take in 10 times the amount of veggies as you normally would therefore providing your body with all the minerals it needs. It’s also easier for your body to absorb because no digestive power is needed. In fact, it reaches your organs within fifteen minutes of consumption. Due to the poor quality of our food and stressful living, our digestion is seriously suffering. You may have noticed a lot of gluten and dairy free foods hitting the shelves lately. Gluten and dairy are difficult to digest, so a lot of us are going back to basics. Green juice is incredibly healing for the digestive tract. Having about 16 ounces per day of a celery or cucumber based green juice will get your digestion moving like it used to.